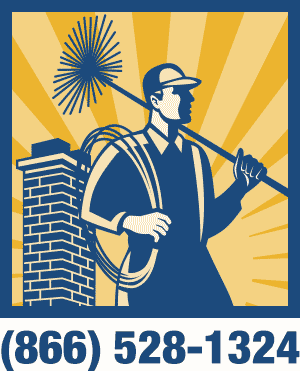 Established in 2006, Guaranteed Home Improvement is one of the leaders in heating appliance chimney repairs and chimney cleaning services in New York and New England. Many reputable heating and oil companies from the area trust us to install chimney liners for their oil-to-gas conversion clients. We also help homeowners repair and fix any chimney cap or fix and replace any chimney liner. We proudly service the New York and New England areas. Our offices are located in Hicksville, New York; East Haven, Connecticut; and Millbury, Massachusetts. We are fully licensed in chimney and masonry services on Long Island (Nassau and Suffolk counties), Westchester County, Yonkers, New York City (including the five boroughs: Bronx, Queens, Brooklyn, Manhattan and Staten Island), Connecticut, Massachusetts, and New Jersey. We are also proud members of associations including the National Association of Fire Investigators, National Chimney Sweep Guild, National Association of Oil Heating Service Managers, National Fireplace Institute and the National Fire Protection Association. On Saturday, two of your employees, Eric & Ricky, came to my house to sweep the chimney and do a repair to the same. Both of these men were courteous and knowledgeable and very neat. They performed the job to my satisfaction and answered any question that I had and I felt very comfortable with them. I did not feel as though I had to be “on guard” as with some other people that have come into my house. I want you to know that because of my recent dealing with Guaranteed Chimney (putting the customer first making things right) and then sending me two their finest workers. I would not have a problem telling a friend to use your company. I am glad that I used your company for this service. I have no regrets!! Eric & Ricky were “the icing on the cake” that helps to make a great company! Thank you again for all you did. It was a good experience for me!! I have told my co-workers what had happened and how you stepped forward to make things right and they all were extremely impressed by your actions. So am I.